Hopefully Friday will be our day around here to discuss the Olympics. At least, for the next few weeks. We've been having a lot of fun following along with the games. Of course, being three and five years old doesn't leave you with an everlasting attention span, but I leave the games up and running on our computer screen and the boys will pop over and see which country is being represented and who is winning. Daddy chose China because he likes watching table tennis and the Chinese perform well in this sport. Mommy chose Canada. Can you guess why!? Bookworm1 choose South Korea, as that is where his brother is from. 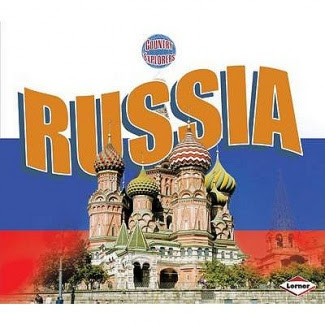 Bookworm2 choose the Russian Federation because, as we discovered in using the World Atlas iPad App, it is the point of origin for the Trans-Siberian Railroad - the longest railroad in the world. 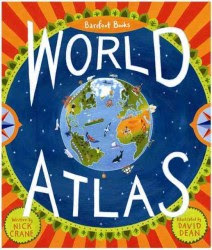 I tried to find suitable picture books which would discuss the Olympics in a manner easy to comprehend if you are a little person, but I failed. (If you have a suggestion to make, please do!) Instead I found the Country Explorers series of books on Amazon that looked appealing and have been a huge hit with my boys! I purchased South Korea and Russia in light of the boys' chosen countries, but the series includes a vast number of other countries, of course. 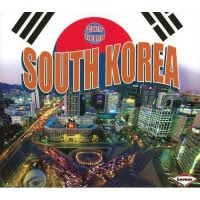 Bookworm1 loves to sit and look through the one on South Korea. 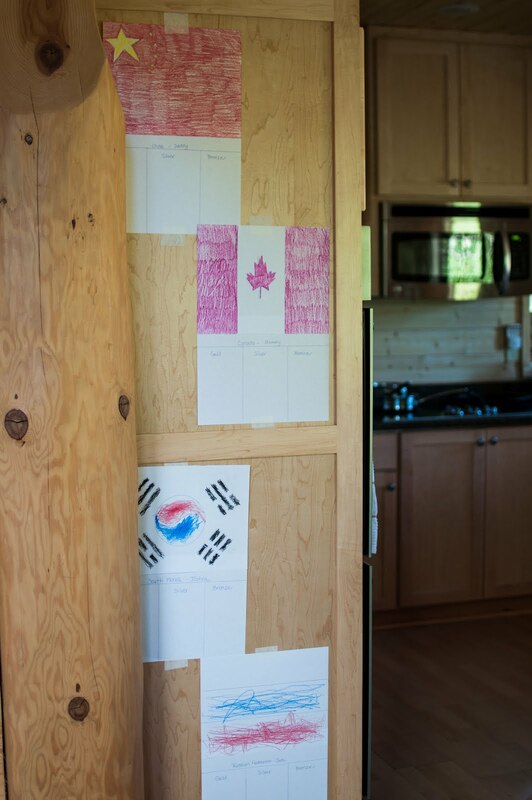 This past week has been all about learning the country flags, where various countries are on the map, and familiarizing ourselves with the various sports. So far, Booworm2 favors "diving into the water" and Bookworm1 says he likes fencing. In fact, I had a fencing match playing on screen and Bookworm1 raced into the room where I was to find me. "Mommy!! Korea is playing the US!!!!" Sure enough, he was right! He has been paying close attention to teams and their flags. Mommy still loves gymnastics best! Thankfully we caught the tail end of the the women's gymnastics competition in which Team USA won and therefore we also got to see a medal ceremony which was way cool. Basically we're just having fun but we're learning as we go! Can't beat that, right? I'll share more about what we're doing next week. Are you and yours enjoying the games? The whole concept sounds like fun! Sounds like a great way to participate in them! My youngest (18) hasn't been much interested in them. I don't know if the older two are watching where they are. We've just caught the evening coverage. Gymnastics is my favorite, too. I love how they (and you, Anne lover) chose the countries. We had the chance to watch a good bit this weekend and really enjoyed!